Well, as we come to a close on the MTO campaign it's time to set up our next and final of the WWII Campaign series. This is the one I suspect many of you have been waiting for: The Eastern Front. This campaign will cover any vehicle, ship, aircraft,or figure from the Eastern Front from 1939-45, any nationality. It will include every war, campaign, battle, or service from Finland to the Balkans. To give everyone a couple of months break, the campaign will run from 1 March through 1 September, 2019. To view the rules and sign up, go here. OK, I'll ask, would the P-63A qualify? Technically they were not for use against Germany. Not that Stalin ever followed the rules. I've got one in the hanger queen collection that I'd like to get finished off. I am in. I have Eduards I-16 type 17 which should fit the bill. And a reason for me to build ICM's Type 24. He 111z Zwilling(Hasegawa 1/72).battle for Stalingrad . Will Shelf Queens be allowed? I have one from the Red Phoenix campaign-Eduard's I-16 Type 24. Almost always have a shelf queen for almost any campaign. A P-63 in Russian markings would be fine, even if not STRICTLY used in combat. Shelf queens are also allowed if no more than 25% finished. I like the way this one is shaping up. 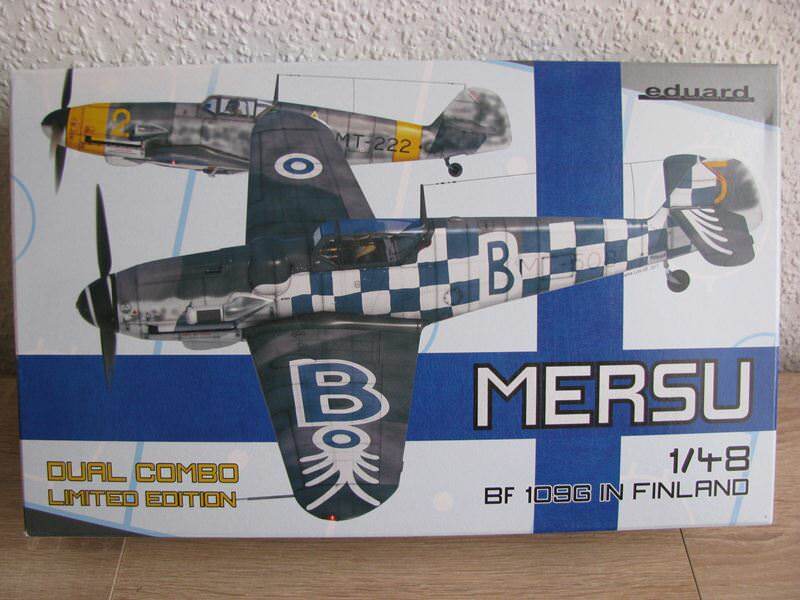 I might (MIGHT I say, March is a ways off) do my 1/32 Buffalo in Hans Wind's markings as part of my American fighters and their aces collection. We'll see how I feel then, I certainly have other options in the stash. Checking my options and spirit later on. Poland is definitely Eastern Front, so go for it! I have a beautiful Soviet I-15, but it is pre-war machine, markings I wanted to do are from 1936 or 1937 I believe. Would that qualify for the campaign? Well, this is a WWII campaign, so I think I have to say no. It needs to be in 1939-45 markings. Sorry. So, in keeping with earlier ribbons, here's my idea for this one. It's the Soviet award for Victory over Germany in the Great Patriotic War. What do you all think? looks good michael. maybe just some emblem or plane silhouette or something would be my only suggestion. I have an Hs.129 B that I barely started thinking about building it for the African campaign, but the mojo soon vanished. It’s definitly below 25% constructed, so I wonder if I can push it out of the shelf and build it in those yellow ID markings?? I'm also building FiAF subject, possibly Special Hobby's Fiat G-50 in 1/32. How did I know you couldn't resist this one, Pasi? Hey, I said I was probably planning a Finnish Buffalo! Now I think I'm gonna have to go through with it, if you're questioning my resolve! Ooops! I successfully missed that, Michael. Sorry! I examined my stash and found the old Fujimi Junkers Ju 87 D1. So, I will be in! Can´t miss this one. Ken, what scale do you build? If it's 1/48 I can highly recommend Zvezda's Peschka. I've build it 2017 and it's a fantastic kit!